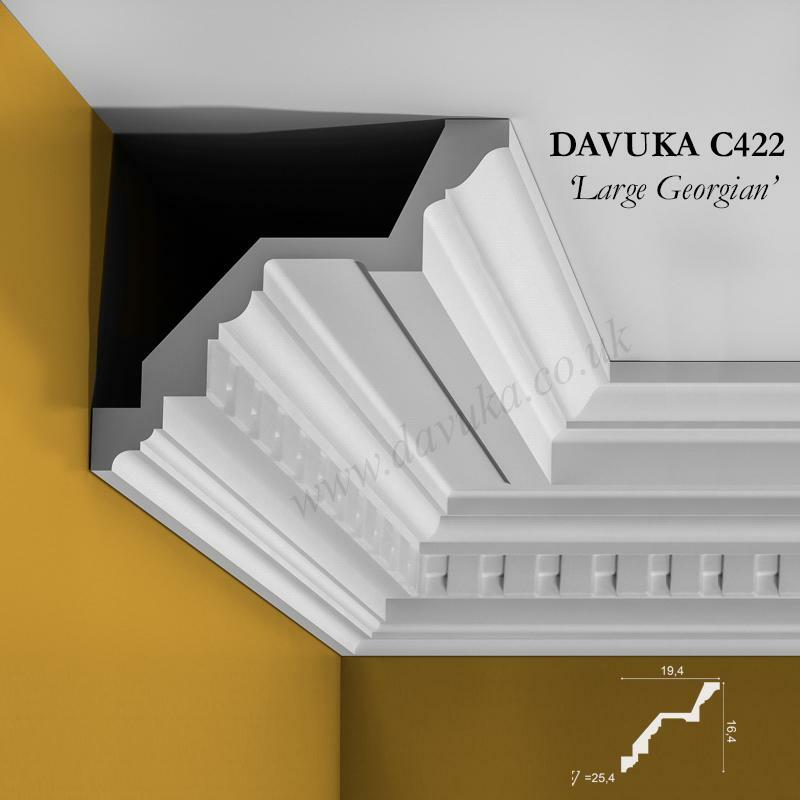 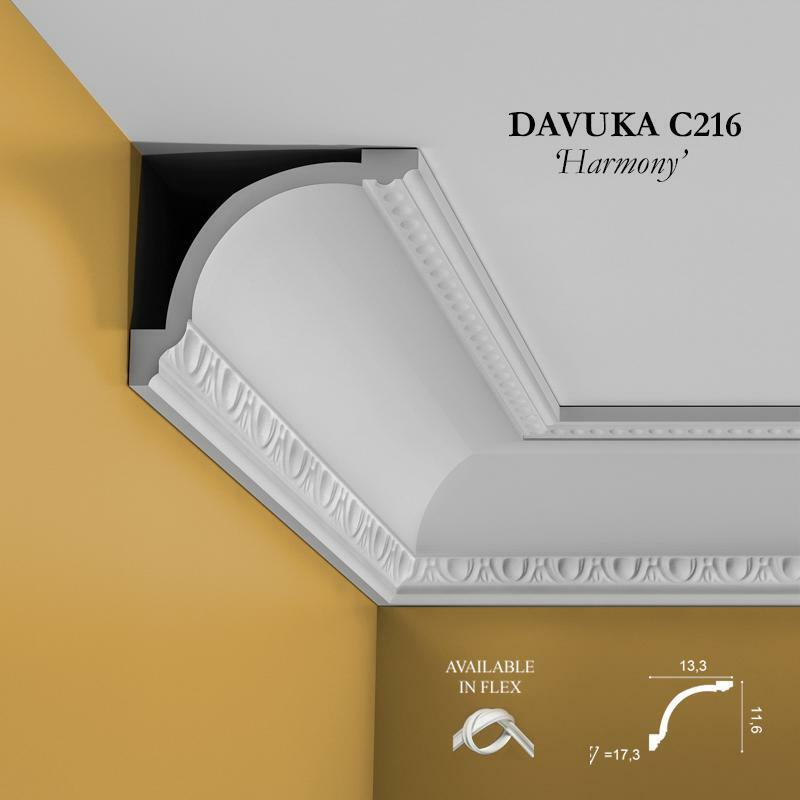 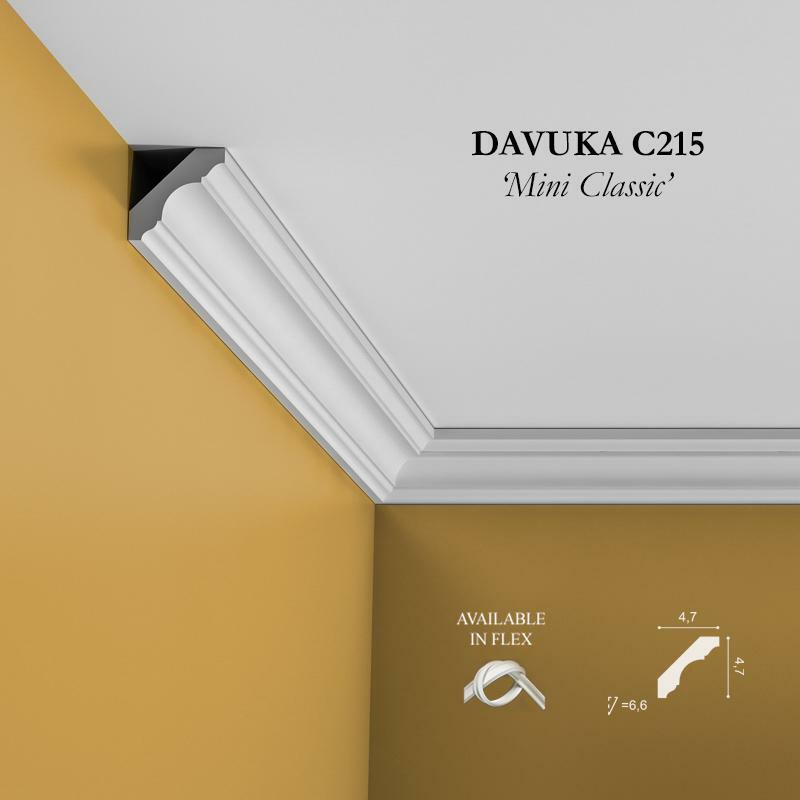 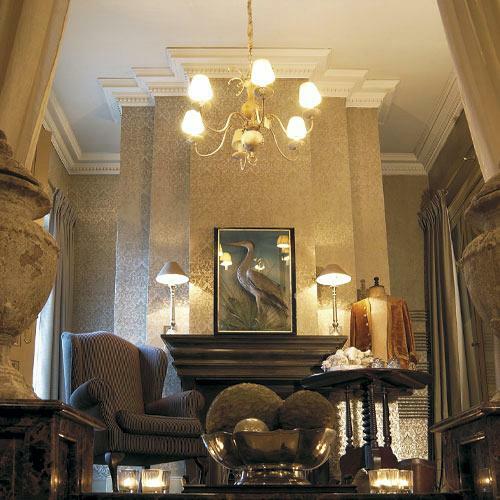 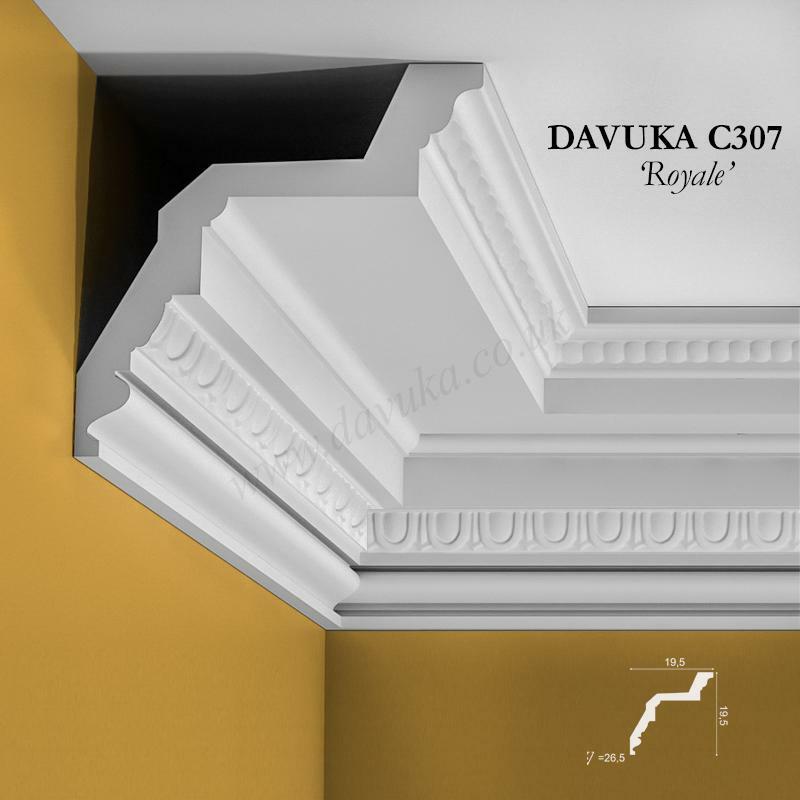 A magnificently larger dentil version of the C211 cornice for total impact with it’s fine details – typical of the Edwardian and Georgian era’s . 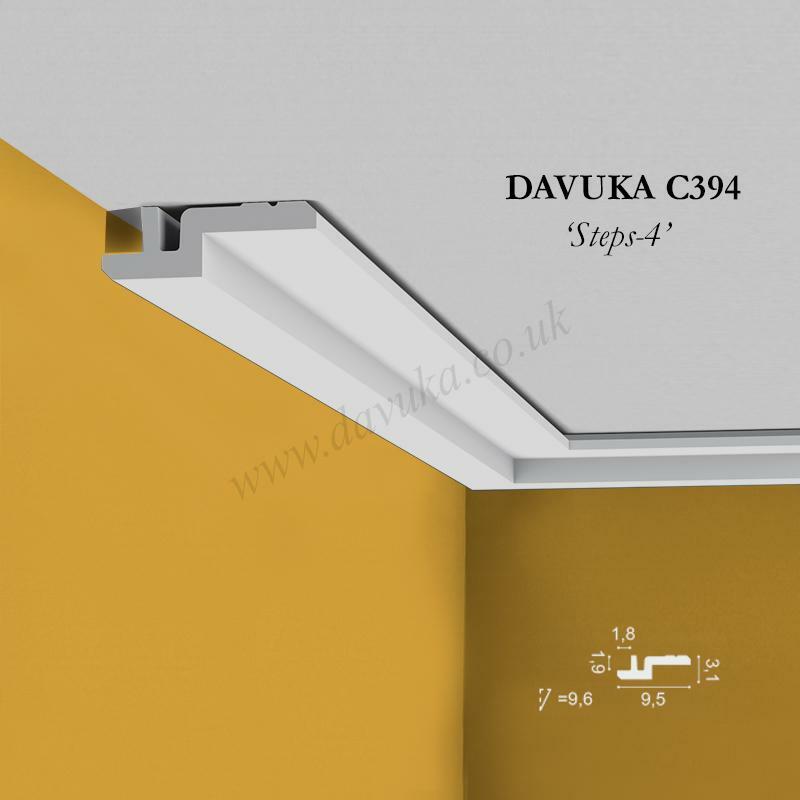 Can be used with matching P6020 dado rail. 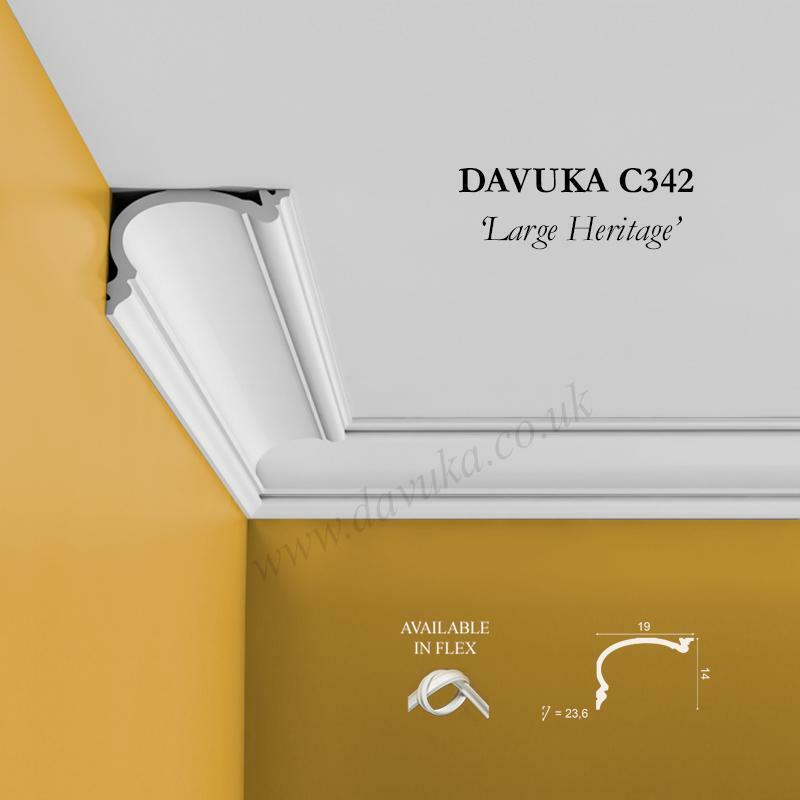 Using Correct Adhesives for the C422 ‘Large Georgian’ cornice – IMPORTANT!